The world of digital transactions is undergoing a consistent change and this change can be credited to the many fast-growing cryptocurrency exchange platforms. They enable you to trade bitcoins and other cryptocurrencies without any hassle. You can leverage the cryptocurrency wallet development to deal in the digital currencies safely. But, choosing a cryptocurrency wallet type is the first step in the development phase. This article shall help you understand the advantages and disadvantages of the various types of cryptocurrency wallets, helping you to choose the right one for your needs. Hot wallets are deemed less secure cryptocurrency wallets because of the risk to privacy posed by free internet access. But, they are the most convenient and user-friendly wallets. On the contrary, cold wallets are the ones that store data offline and offer improved security. A hot wallet is suitable for small, day-to-day transactions; whereas, a cold wallet is used for long term holdings to avoid any huge theft. Let us first clear the fact that Bitcoin or other cryptocurrencies or cryptocurrency exchange platforms do not get hacked, in fact the devices that store private keys do. A multisig wallet, short for “multisignature” wallet, is the one that requires input from multiple parties in order to complete a single transaction. A multisig wallet is ideal for use by families and businesses alike, where all parties need to enter their PIN in order to complete a transaction. Some wallets only hold one type of cryptocurrency, while others allow storage of multiple types of cryptocurrencies. Cryptocurrency wallets are segregated in five broad categories- online (web), mobile, desktop, hardware, and paper wallets- on the basis of their level of security.Now that you have a little foundation of cryptocurrency wallet development, let’s take a look at the 5 different types of cryptocurrency wallets offered by cryptocurrency exchange platforms along with their advantages and disadvantages. 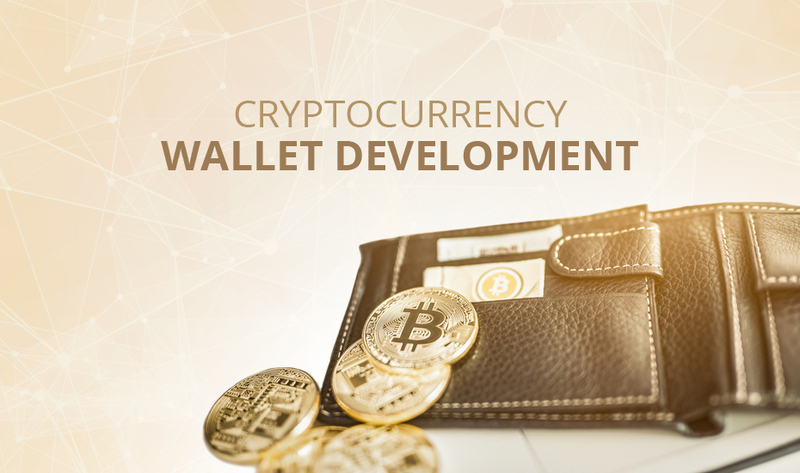 Now that you have a little foundation of cryptocurrency wallet development, let’s take a look at the 5 different types of cryptocurrency wallets offered by cryptocurrency exchange platforms along with their advantages and disadvantages. Online wallets are typically those which can be accessed via any web browser. Hot wallets are popularly referred to as online wallets. Some even store or hold multiple cryptocurrencies. the coin information is stored with a third-party. Mobile wallets provide access to cryptocurrencies via a cryptocurrency exchange platform. It is very easy to create your own Bitcoin wallet on the mobile sets. Mobile phones are highly vulnerable to malware and pose a great threat to the cryptocurrencies. 3. What is a Desktop Wallet? A desktop wallet is more secure than an online wallet and a mobile wallet. This could be considered as a really effective cold storage method. Private keys are not stored with a third-party server. 4. What is a Hardware Wallet? Hardware wallets are slightly less user-friendly than web wallets and desktop wallets. They are great for holding large amounts of cryptocurrencies as they offer more control. Stronger security than all other wallets. Difficult for beginners to understand access. 5. What is a Paper Wallet? Before hardware wallets, paper wallets were standard for cold storage of cryptocurrencies. Hack-proof as private key is not stored on a third party server. In fact, it does not even involve internet connectivity. Technical Understanding is imperative to work effectively. Now that we have equipped with all the information required to create your own Bitcoin wallet or for multiple cryptocurrencies, choose the best cryptocurrency exchange platform to further solidify your objectives in this growing field of opportunities. Why Is Cryptocurrency Wallet Development Necessity? 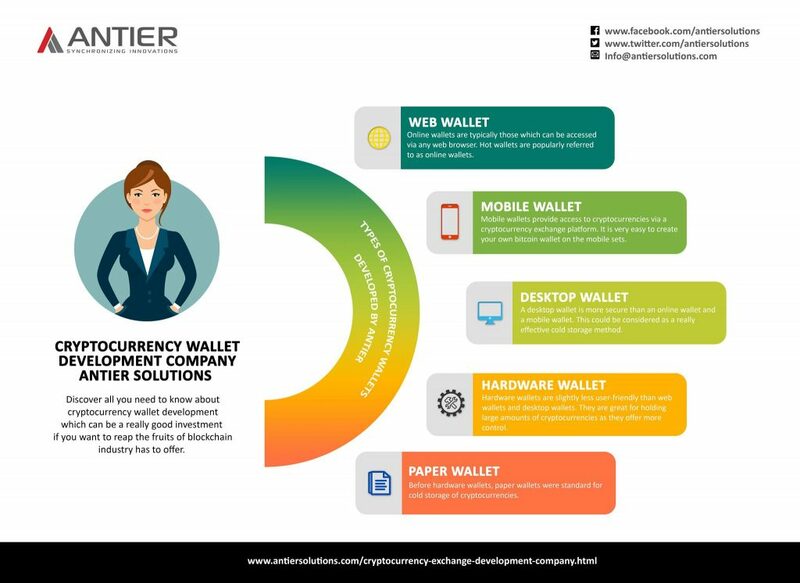 The wallet development gives users a complete control over their money and functions in a way which enables users to earn, monitor and transfer cryptocurrency with minimal effort. As cryptocurrencies keep increasing on value, it is essential to make your own cryptocurrency wallet that helps users send and receive coins. According to the recent research, it shows an extraordinary rise in blockchain wallet users with 25 million in 2015 to 3.1 million users in the year 2018. Cryptocurrency wallet record transactions on the blockchain technology and this bring in all the benefits of decentralization, transparency, security and immutability. If the cryptocurrency is transferred to the wallet, the ownership of the crypto coins is signed off to the holder’s wallet address. When you have a cryptocurrency wallet of your own, you will eventually have one or more addresses corresponding to your private or public keys. It stores your private and public keys which allow you to send and receive cryptocurrency via the blockchain technology. Cryptocurrency wallet application is developed on blockchain technology where crypto wallet developers employ software development kit or simply SDK to create the wallet. Crypto wallets have to support every big operating system which is a state-of-the-art bank-grade security. In fact, its pre-tested components cut down on testing times which improves the user experience and that makes it even more reliable. Crypto wallet app development offers a fully integrated feasibility with which the device used for mining where data transaction is secured for its software or credentials. Cryptocurrency wallet application offers online payment feature that helps a simple and reliable transaction process during the data transfer which includes a secured online payment, Point of Sale payments and a Peer-to-Peer money transfer. Now, as we have analyzed how a cryptocurrency wallet plays an essential role to increase the business reach by magnetizing the fundraising during a crowdfunding event, entrepreneurs or businesses can make the most of modern cryptocurrency wallet development solutions available in the market. Find the best team of blockchain enthusiasts that develop official wallets and multi-coin wallets that ensure high standards of security and scalability for your cryptocurrency exchange platform.